I thought I would start a mini series of the "best of" patterns/materials I go back to again and again. These are my tried and tested and repeated patterns/materials - my go-tos. Might help some of you that are looking for some ideas?? Or those of you that don't have time to shop around and just want to get to the good stuff fast - these posts might save you some time. On that note, the proviso is of course that this is just my opinion - you might hate them. Craft can be like that. One persons water is another persons wine....or something like that. That said, this first one up can really have no arguments.....it is that good. We are going to start with my most used kids pattern book of all time - Happy Homemade V2. Have a quick look around the internet and you will find this book comes up more than practically any other Japanese pattern book for kids. 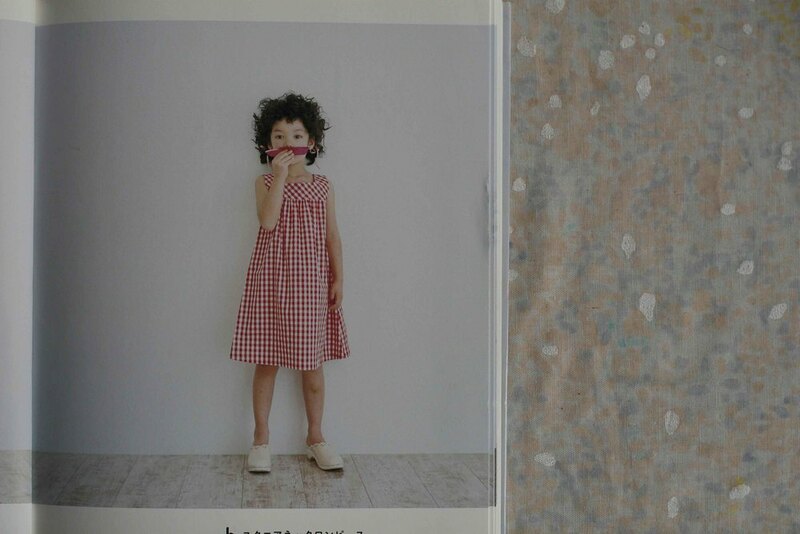 This book is a fabulous all rounder that includes my favourite small person shorts/jeans pattern and my favourite skirt. Both boys and girls staples are fully covered in this book. This is my go to book at the start of a season, after they have beanpoled their way out of last years clothes and I need to do the "right - we have no skirts/pants/shorts - let's sort that out!" thing. When I do this kind of making I almost always make multiples at a time; like the three skirts below. It's much faster than sewing things one by one, and really gets the wardrobe situation sorted quickly. Skirts are now covered. 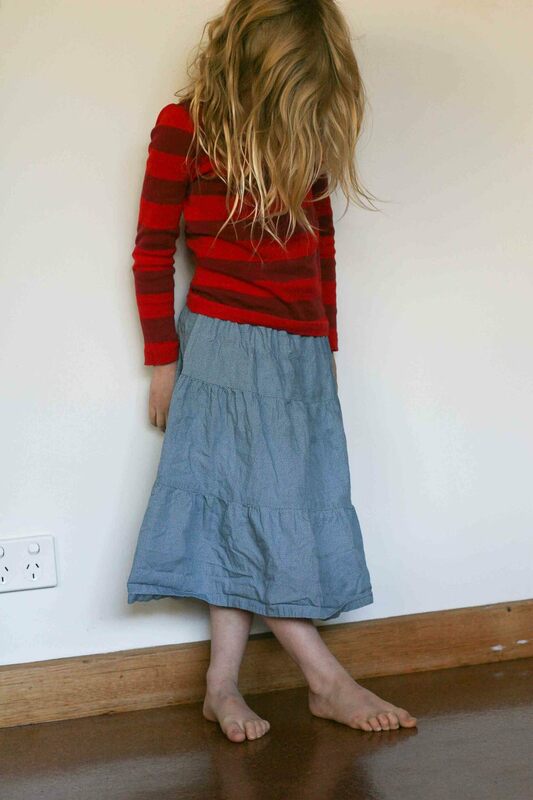 I love how this skirt makes the little waist look so sweet - even with the just-got-outa-bed-dreadlocks. It is a little vintagey, great for twirling and good for summer or winter. When I went looking for pants to photograph for this post I found 6 pairs of various sizes made with different modifications. This number doesn't include the shorts made from this pattern either. Or the ones I have given away. 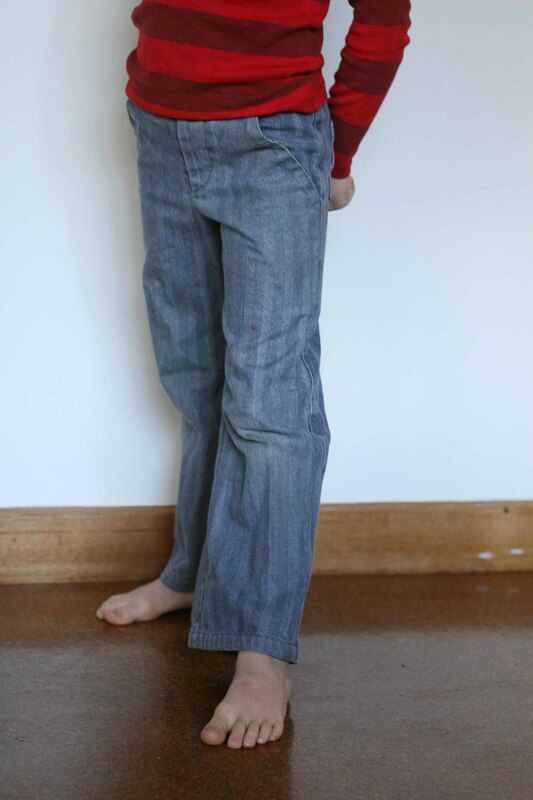 I make them using a denim with a small amount of stretch, which combined with the elastic waist makes them super comfy for playing and climbing. There isn't actually a jeans pattern in the book. 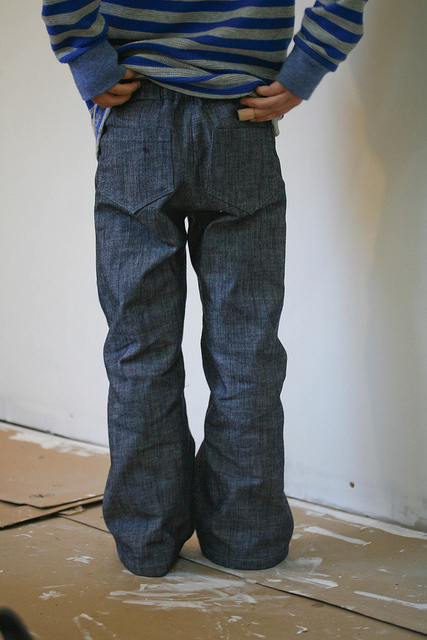 There is a pants pattern but it is very simple. The pattern I use is a shorts pattern but because of how Japanese pattern books are (you trace out the pattern from a sheet) then I just extended them to the pants line to make the shorts into jeans....have I confused you yet? Japanese pattern books often use the one base pattern and then have different variations that use the same base. So I use the shorts pattern with front and back pockets but added the length from the pants pattern to make jeans. Happy Homemade V2 also has a gorgeous layered dress - pattern f - that I made as my middle one's birthday dress. This dress is just stunning on. Terrible for sun coverage but great as a birthday frock. Wonderful twirling potential. This book also has other stuff I haven't yet tried making. There are a couple of different frocks and shirts - most of which I plan on making at some stage. 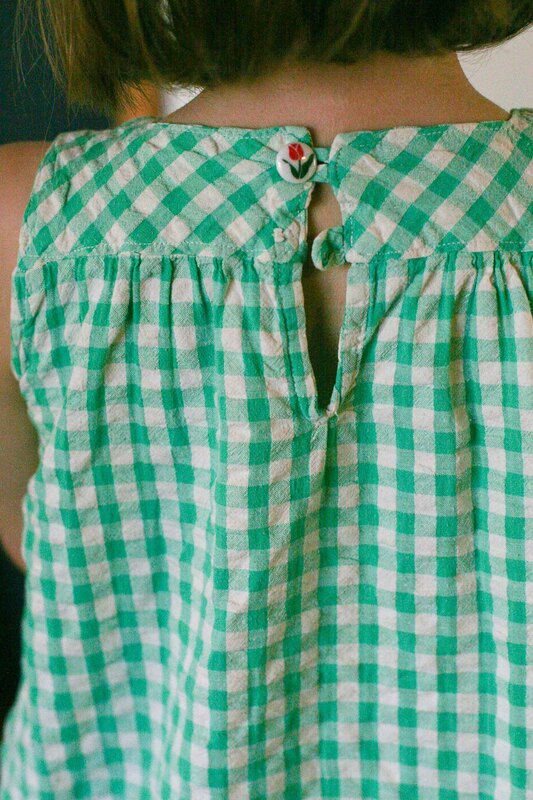 The lovely Anna has made about 15 versions of the dress and shirt pattern. I just clarified with her tonight when she popped in and she has made 2 of the dresses with the yoke and 5 shirts/frocks of the pattern with the front tie. Again great basic patterns. In the interests of keeping it real - here is the gorgeous frock on Anna's lovely small today- complete with the water blotch or two. The lost buttons = true love? This frock has been worn fairly constantly for the last few years. The book has pretty much every basic clothing type covered. Shorts, pants, skirts, shirts, hoodies and dresses. When I purchased it many moons ago it was only in Japanese. Thankfully it is now also in English. That said, it is for someone who has some basic skills - not a complete beginner as the directions are a bit on the vague side. They show you what order to do everything but not how to do it. I love this hoodie. I have plans to get there soon. 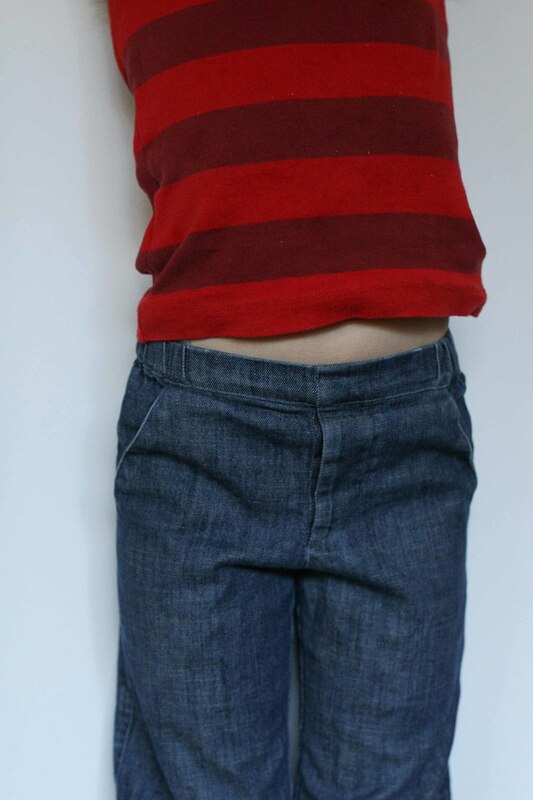 Beginners: If you are looking for some good kids patterns for beginners please try Made By Rae - for great everyday kids clothes that are quick and easy to sew or Oliver and S - for more formal, incredibly beautifully finished clothes. Both of them include great instructions and I promise you that you will come out from making them knowing more than you did at the start. Do you have Happy Homemade V2? 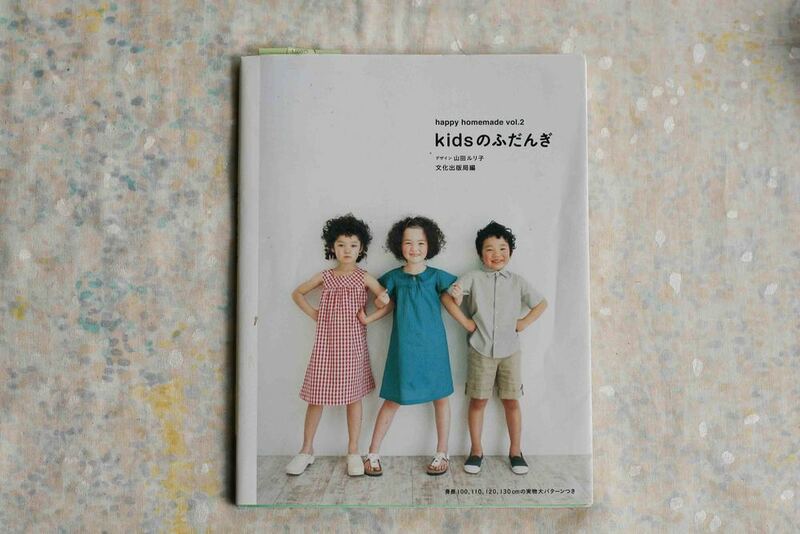 Is there another Japanese kids pattern book you love more? And are you interested in me doing more of these types of posts?